If you a working person and if you take on a leadership role or good at finding solution at your workplace, you can opt for a degree in business management. Here we will check best 3 Universities for online business degree programs. 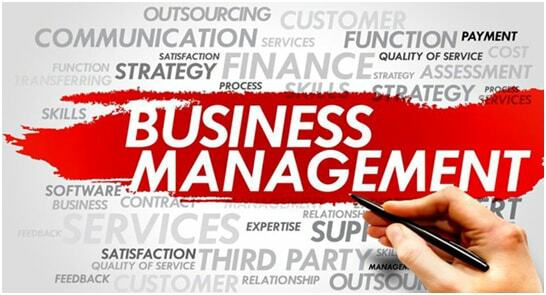 There are various specializations in the field of business management. A degree in business management can open up a wealth of business career. If you want to remain focused to your job and pursue a degree in business management, you can consider an online degree program. General business management degree aims at developing all purpose management skills which can be applied in different business contexts. Focused business management degree programs helps you advance in specific business department. Some of the specializations offered are human resource management, rural management, strategic management, business analytics, marketing, finance, international business management, creativity and innovation management etc. There are numerous colleges and universities which offer online business degree programs in management. To identify a right program and right business school is a challenging task. If you are already having a career in business department, you can take up specialized program to enhance your skill which helps you excel in your role. With right perspective and knowledge, you can find an online program which can be a great match for your requirements. You also need to find out tuition cost you need to pay, college accreditation, focused area of the study and unique characteristic of the institute which set it apart from others. Bellevue University is a leader in providing the best online business management degree programs for students. Its courses are designed to help you specialize in a specific industry or business along with fundamental management and business skills development. The university has 10 different focused business management degrees to offer. The degree options offered are in the field of human resource management, supply chain management, sustainability and logistics management. You can choose a course which interests you. The online degree programs offers a solid course work and helps you build specialized skills in you which helps you prepare for a leadership position. The online degree in business covers key areas of business which include marketing, finance, information management, business management, human resource management, changes and innovation management etc. The learning is provided through accelerated cohort format. You are provided digital learning modules. The learning is made interactive and provides practical skills in the area of critical thinking, decision making and problem solving. You can connect to a community of peers and share thoughts and have discussion. Bellevue University has an advisory board comprised of business leaders who provides insight into current trends and business concepts. The course program helps you with learning skills without repeating prior courses taken by you. The online program is flexible and you can keep a balanced approach between your study and work life. With Bellevue University online degree program, you will join a diverse group of associates having varied academic and professional backgrounds; it will help you broaden your knowledge and experience. Colorado State University-Global Campus offers online degree programs in business management which helps students develop leadership qualities with broad business skills applicable to diverse industries and business needs. Working people who don’t have much prior business experience can gain a lot out of this program. The online business management degree program covers practical aspects such as organizational leadership, strategic planning, business law and ethics which can also help small business owners to a great extent growing their companies. It also runs an online dual degree program where students can get enrolled for combination of bachelor’s and master’s degree programs. Colorado State University’s Global Campus was the first fully online state college in the United States and over 12,000 students join it each year. Its online business management degree programs are well versed to impart skill and quality to become analytical leaders to become successful business professionals, strategic planners, entrepreneurs etc. The bachelor’s degree online program offers 19 specializations. Students can take part time or full time course. Daytona State College is ranked 15th in offering bachelor’s degree program online. It is widely accepted as centre of excellence. It offers online bachelor’s degree program which follows innovative approach and aligns any AA transfer into its business baccalaureate. Emphasis is laid on professor-student-peer interaction. The course work is balanced between theory and practical knowledge and the learning modules are provided through video, digital class room, chat etc. Daytona State College also offers supervision and management program which is a degree completion program option to those who have an associate’s degree or credits equivalent to it. It will help them advance their career and acquire leadership position. The coursework is designed to aim at building practical business skills. The program covers standard business practices, business management, public communication, budgeting, workforce leadership and management. You choose a right online degree program in business management from well accredited business school and move ahead on a path to successful and advanced career in the field of business.